Kiddie ride is cool, but when the white powder covers the ground, even the pricest of the kiddie rides will be rendered pretty much useless – unless there are snow tires for it. 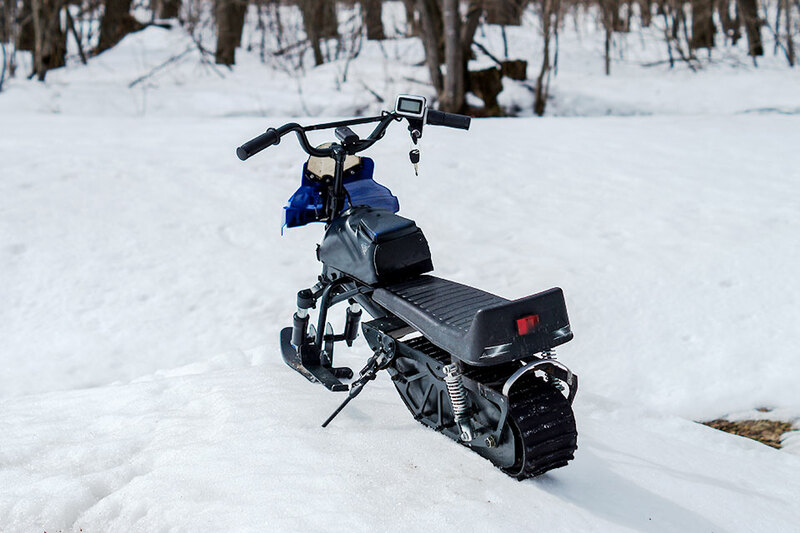 But that won’t be the case with the NASEKA Electric Snowmobile for Kids. 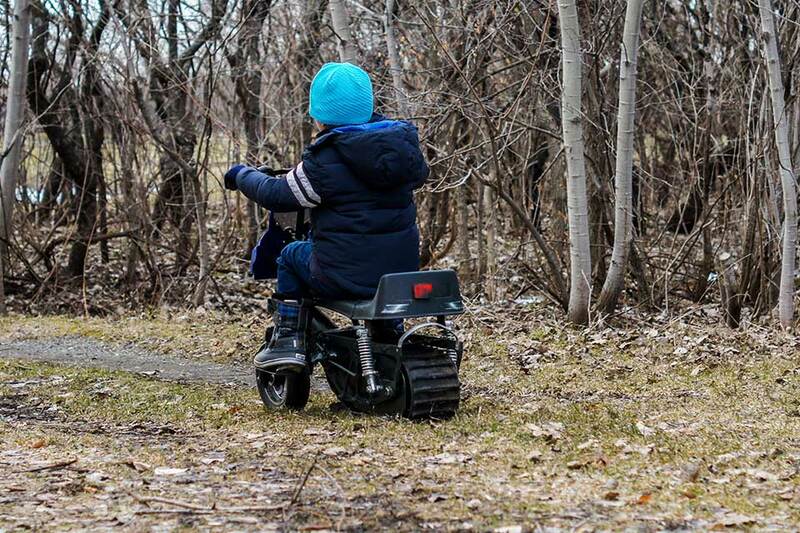 If I am not wrong, this is NASEKA is the world’s first electric snowmobile for kids which kind of makes us think: “why didn’t anyone think of it!” Well, someone did now cos’ snowmobile for kids is coming, alright. 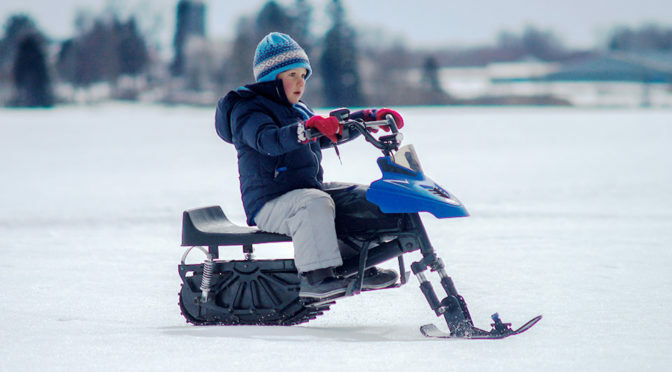 And mind you, it is it not just a snowmobile; it is really an all-season kiddie ride which can be ridden in Spring, Summer, Autumn and Winter, and across virtually any kind of terrains, be it paved roads, gravel, grass or snow – thanks to the rear caterpillar track and a front wheel which can be swapped out for a ski for traveling over powdered ground. 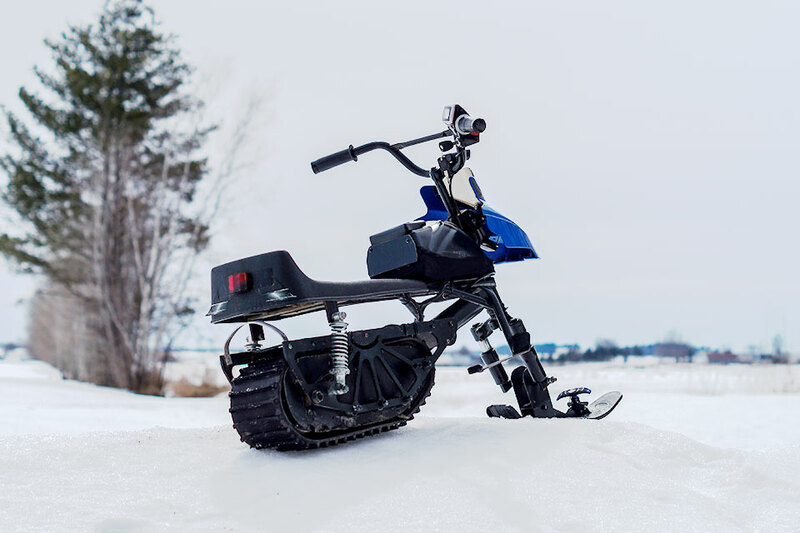 The base model is powered by a 800W brushless motor, paired to a rechargeable lithium battery good for 9 miles (14.5 kilometers) of range per charge, and it is capable of brisk top speed of 7.5 miles an hour (12 kph). 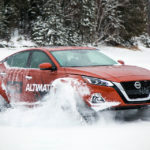 Like any full-size electric vehicle, this baby here is outfitted with regenerative braking that recovers energy to be reused during slowing down or braking. 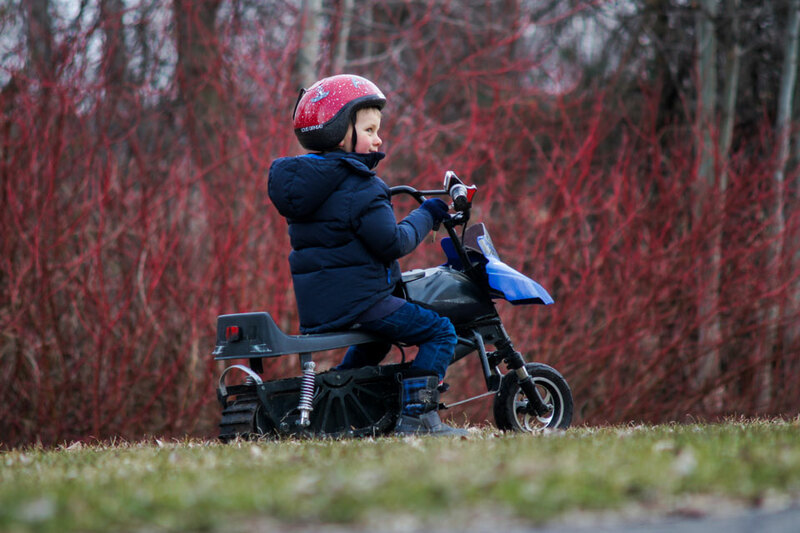 Designed for ages 7-12, NASEKA also features an LCD screen that displays battery status and speed, as well as functional front and rear suspension for a comfy ride regardless of terrains. 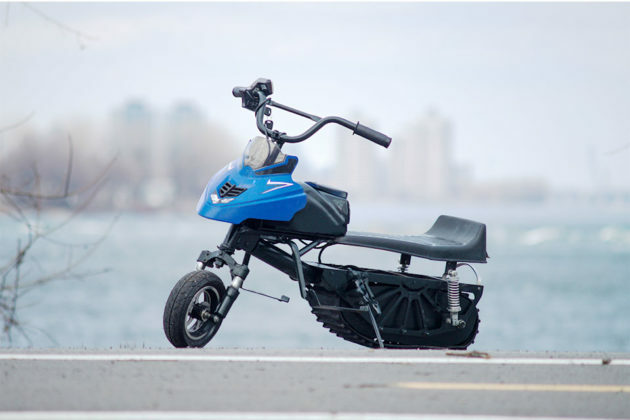 It is compact enough to be loaded into a trunk of a standard minivan (read: MPV) and stashed away in any home garage, and it just the right heft, at 60 pounds (27 kilograms) for a stable ride while remaining lightweight enough to be loaded/unloaded by an adult. 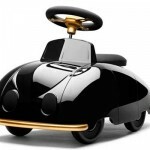 Seriously, this is one kiddie ride that is getting us all thrilled even we are way, way overaged for it. Damn. 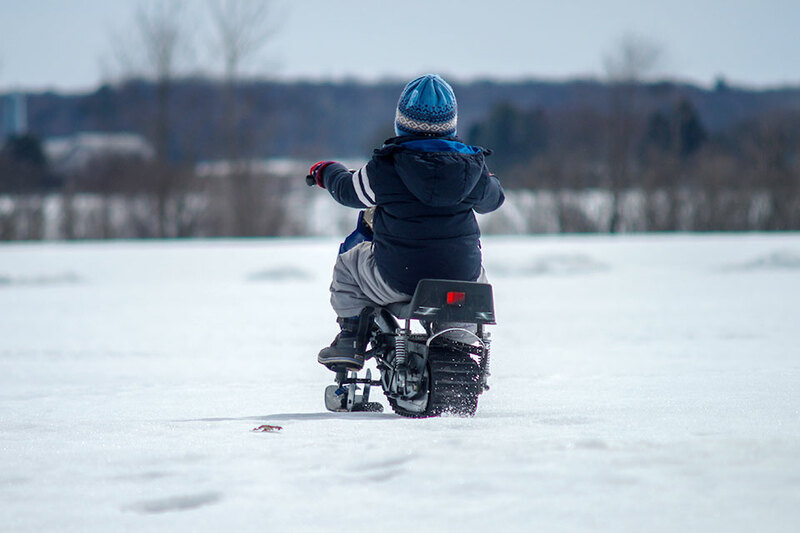 We are green with envy for today’s kids. 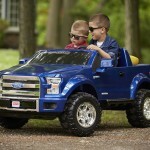 Why did we not have such good stuff when we were little? 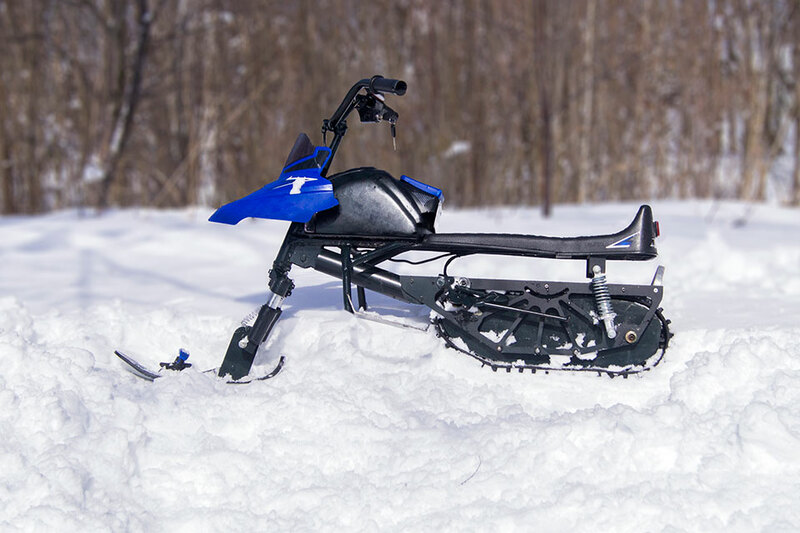 If you are enamored by NASEKA Electric Snowmobile for Kids, then may we suggest that you keep your eyes peeled on Indiegogo when it will be having a pre-sale campaign end of March. Or better yet, sign up to be notified about the launch over at NASEKA website. As for the pricing, it is not known at this point. 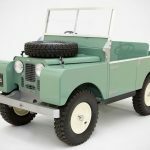 Surely, it can’t cost more than the sweet 1948 series Land Rover kiddie ride, right? Right?